Name: [Member Event] Pinwheels Family Fun Day! 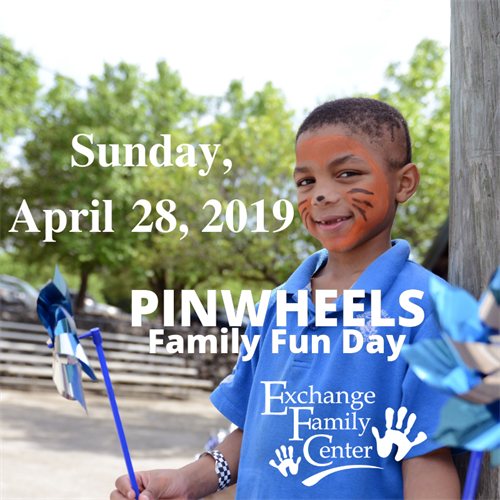 Exchange Family Center?s Pinwheels Family Fun Day brings together families, friends, and the greater community to generate awareness about the importance of supporting families and teachers to help children be resilient. Exchange Family Center?s Pinwheels Mini Golf Tournament is returning for it's second year! The adults-only event brings together friends, colleagues, and the greater community to generate awareness about the importance of supporting families and how we as a community can help children thrive now and as they grow. Come and join in on our little friendly competition! For more information you may also visit us at www.exchangefamilycenter.org. Purchase advance tickets at a discount by clicking here.